While Spade ICM does its job and contains a quiz feature, it just doesn't compare in usability to the big three, SNGPT, SNGWiz and SNGEGT, that currently dominate the market. The quiz feature did seem to do its job, although there were still issues with learning to use the program. We would love know what the selector box at the top, with choices tight, medium and loose, was for and what those things applied to. We couldn't find an answer anywhere. 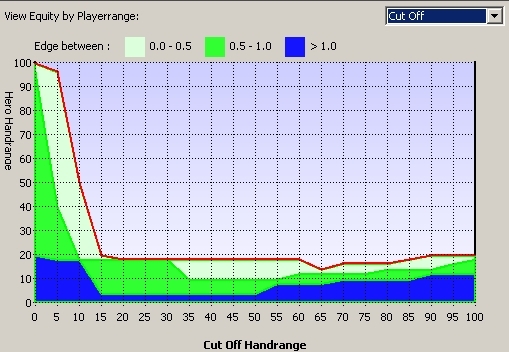 For $40, Spade ICM is not a bad choice, but for $79 you can buy SNG Wizard, which we think is a much better program. i have payed for this product 2 days ago.they were suposed to send me a refistration key in less than 24 hours.instead their site have changed completely and only writtes about some data mining product and no mention of the ICM software.probably one more internet crook.just you as a site must be more careful about who you advertise here.i see lots of adverts about poker software,but do people know that lots of them are crooks that simply take your money and dissapear?